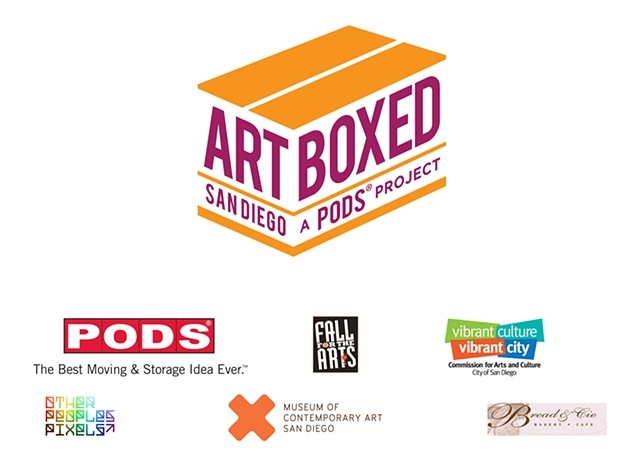 Art Boxed San Diego: A PODS® Project is a portable, curated exhibition highlighting local contemporary artists creating thought-provoking and participatory art in storage containers generously donated by PODS® Moving & Storage. In September 2012, Art Boxed SD openned at Liberty Station in conjunction with Fall for the Arts, an initiative organized by the San Diego Commission for Arts and Culture. In October, viewers had the opportunity to see the containers at various locations throughout San Diego. A handful of the containers are still on view.